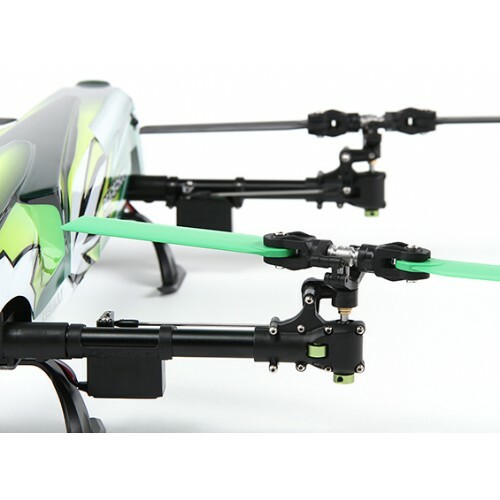 Looking for a multi-rotor model that breaks all the rules? The Reaper 500 is a fully 3D capable, collective pitch quadcopter that has set the new standard for aerobatic mutli-rotor aircraft. 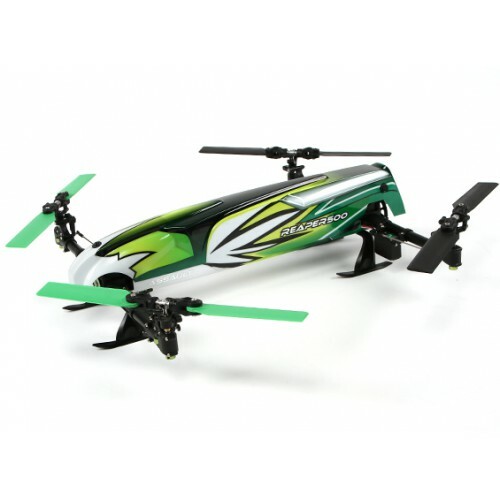 This is a high performance model capable of many 3D maneuvers such as loops, rolls, inverted flight, funnels and more! 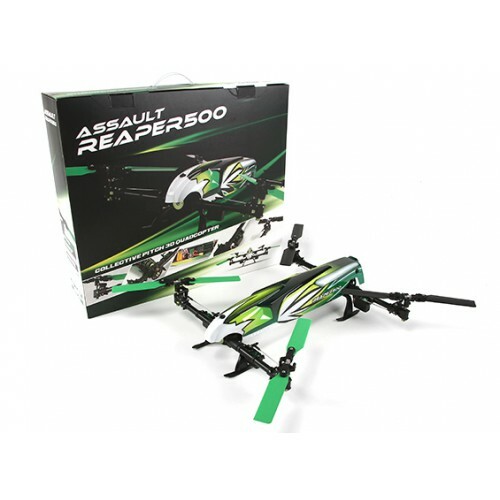 The Reaper features a revolutionary frame design incorporating the use of a single motor power system to drive all four rotors. Power is transferred via a central shaft to internal drive belts in each boom. 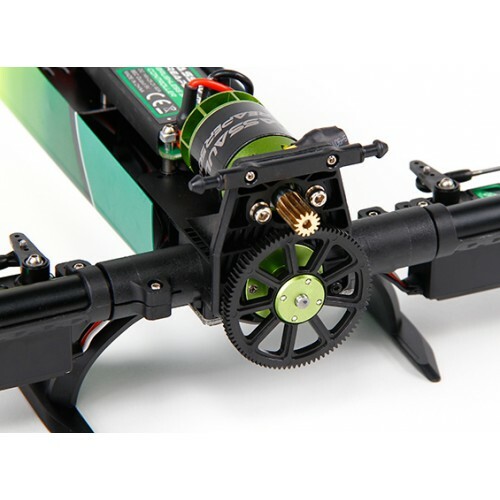 This makes for a very sleek and efficient drive system while minimizing the use of external moving parts. 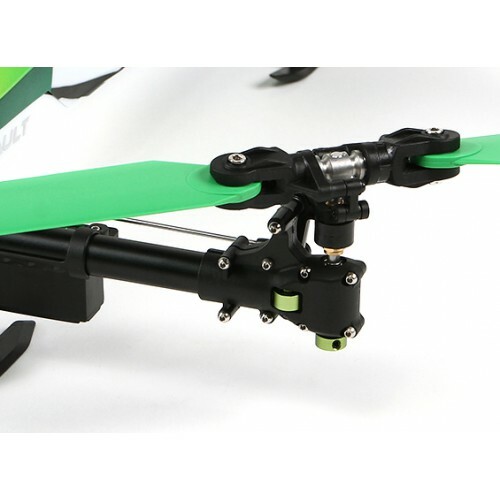 The variable pitch rotor design of the Reaper 500 gives the pilot full control of both positive and negative pitch, very similar to 3D helicopter models. 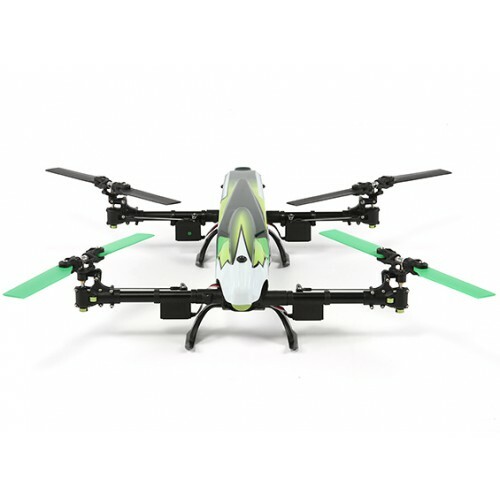 This opens up a whole new world of maneuvers which are simply not possible with traditional fixed pitch multi-rotor aircraft. 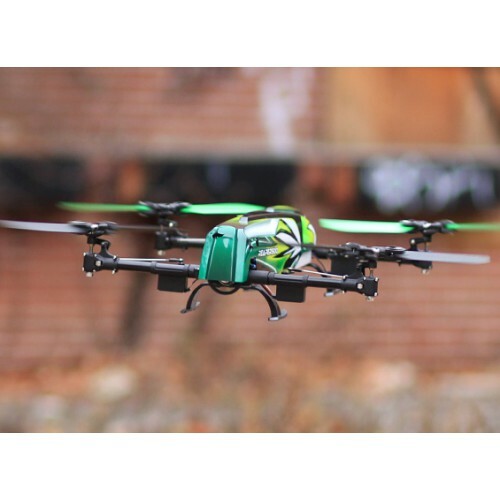 The Assault Reaper flight controller has been designed form the ground up specifically for use in this model, providing exceptional flight performance in a super simple and easy to use package. 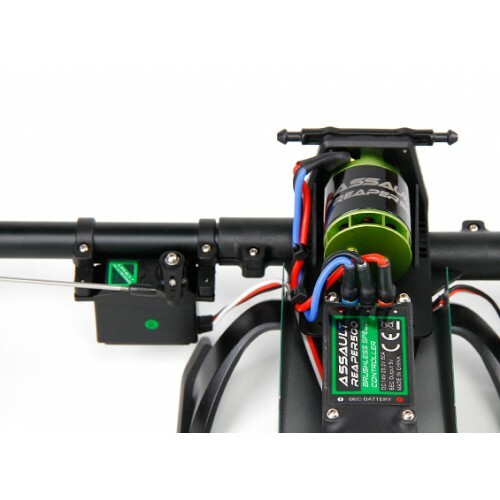 There are easy to access dials on the top of the control unit to allow for fine tuning of the flight characteristics of the model (no PC connection required for adjusting) such as increasing or decreasing the flip/roll rate and gyro gain. 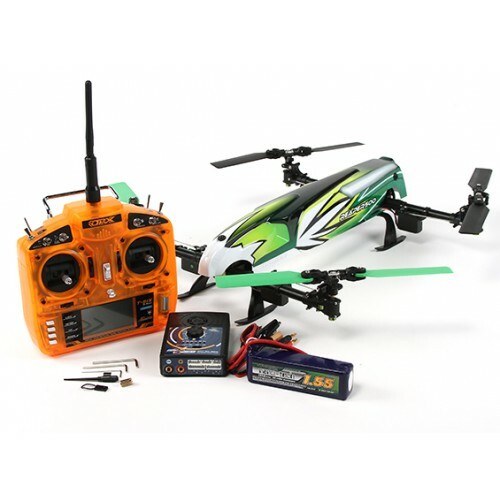 This version of the Reaper is completely "Ready to Fly" including the OrangeRx T-Six radio transmitter, flight battery, charger and tool set. The model is fully assembled and factory tuned right out of the box. Simply charge the battery and fly! 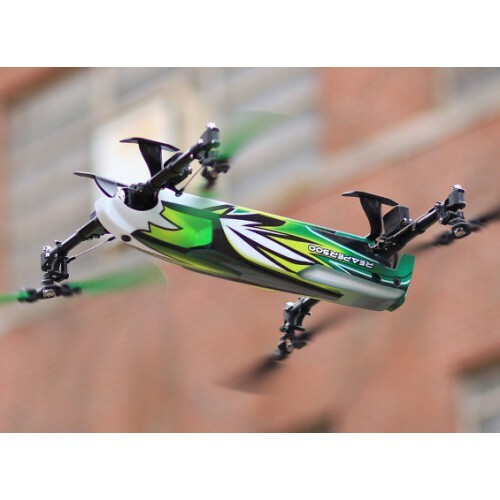 • World's first "Ready to Fly" collective pitch quadcopter. No building required! 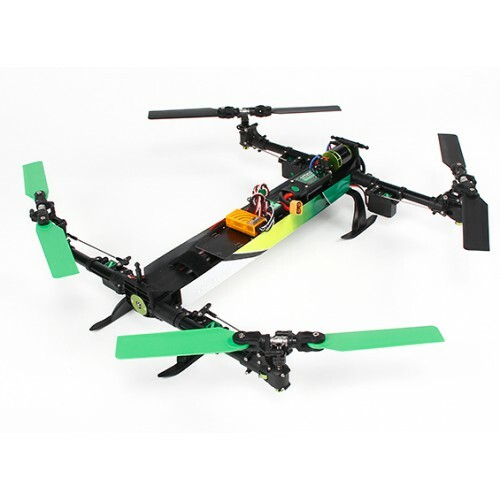 • Fully 3D capable - loops, rolls, inverted flight and more! • Internal boom belt drive system. No external belts/pulleys!